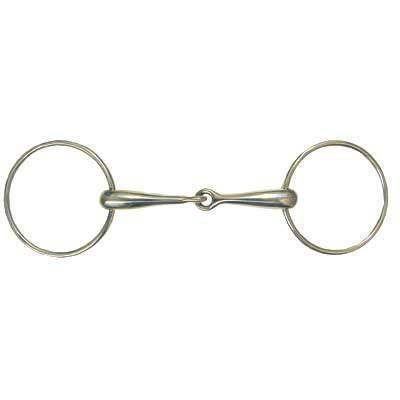 Spreads the pressure of the bit and the loose ring usually relaxes the horses jaw and tends to make them chew the bit, as the rings slide with the mouthpiece. The jointed bit creates a snapping action between the rings and the mouthpiece. 3 1/2'' rings. 19mm mouth.